"Doing the right thing – the challenge of culture, competence and business behaviour"
This lecture will explore how the banking sector can move on from some of the worst excesses of the financial crisis, exploring the extent and limits of regulation to achieve lasting and meaningful change, and what behaviours and standards banks might adopt to go beyond compliance. The lecture will draw on lessons from other sectors and jurisdictions to inform the UK debate, and to explore how ethical behaviour, personal accountability and the right culture can prove that trustworthiness is deserved. Dame Colette Bowe has worked in the City, in regulation and in Whitehall. She is chairman of the Banking Standards Board (BSB) and also currently chairman of the Associated Board of the Royal Schools of Music. She serves on the boards of the UK Statistics Authority, the Nuffield Foundation and the Department for Transport. She is a Visiting Fellow of Nuffield College, Oxford. She has been chairman of Electra Private Equity plc and of Ofcom. She has also served on the boards of Morgan Stanley International, Axa Investment Managers, Goldfish Bank, the Yorkshire Building Society, London and Continental Railways and Thames Water Utilities. 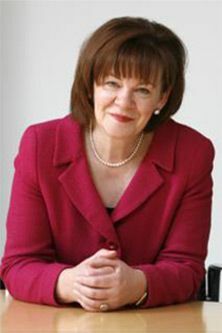 She was the founding chairman of the telecoms Ombudsman Service and of the Ofcom Consumer Panel, and chaired the Council of Queen Mary, University of London.